A menswear moment happened yesterday in London. In recent years, Hermès has travelled from LA to Shanghai to celebrate its extensive menswear offering, with its immersive ‘Step into the Frame’ event. At the forefront of the Parisian maison’s menswear vision, is Véronique Nichanian. The designer joined the brand as men’s ready-to-wear designer in 1988, and today holds the title of artistic director of the Hermès men’s universe. The savoir-fair menswear solar system of the maison was celebrated yesterday in a huge presentation space in South London, jam-packed with interactive installations and innovative dining experiences. First, guests were treated to a runway show of the Hermès S/S 2019 men’s collection, boasting luxurious leather suiting, ombré accessories, sporty anoraks and tailoring in mauve and khaki. Next, a host of experiences, from a Speed dining pop-up restaurant, live digital portrait sketching, and an exhibition celebrating the wonderfully tactile fabrications used by the brand, including rubberised lambskin, tattooed leather and cashmere. Not to mention a surprise performance from Primal Scream. 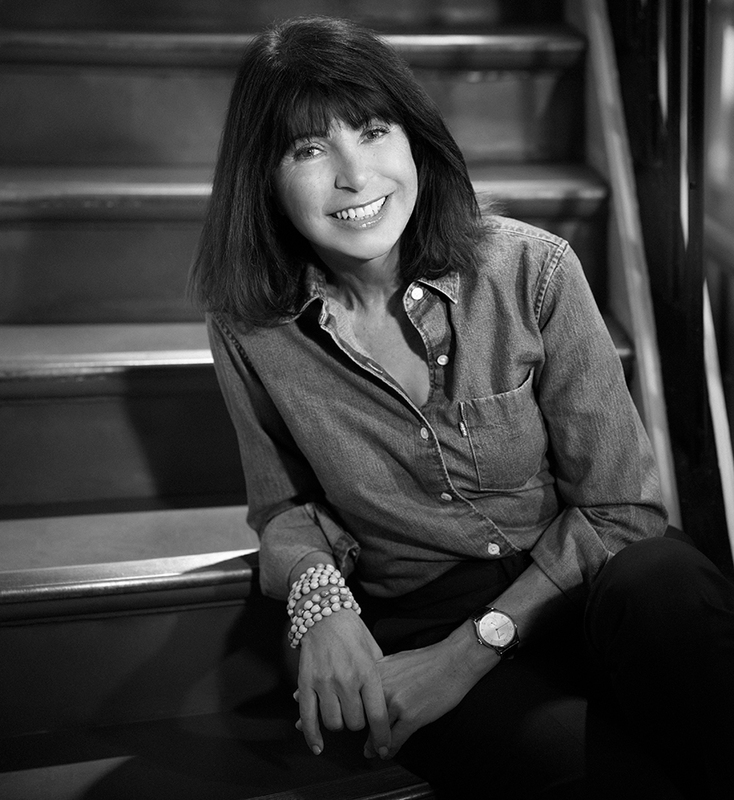 Here, Nick Vinson speaks to the design doyenne Nichanian about her fascination with fabrics, her modern menswear codes, and the dictats for dressing with confidence. Nick Vinson: This industry is full of men designing for women. Your role is unusual, a woman designing exclusively for men. What advantages or handicaps does that bring? Véronique Nichanian: It’s definitely an advantage. The difference is, I don’t think of dressing for myself, I design for men not for me; to make them more charming, seductive and smart. The most important thing is to feel good about yourself, that gives you confidence. NV: Your work has neither too much nor too little, what would you say are your design principles? NV: I have been following your career at Hermès for 15 of your 31-year tenure. Is it deliberate to provide the client with both consistency and change at the same time? VN: I used to say I designed clothes more than fashion. Now, in this time, fashion is a question about image; in a show, on Instagram, that is all flat. I am talking about real clothes, bodies, construction, millimetres and the sensuality of the fabrics. You can never really feel that when you see it in an image. We are in a world of making a beautiful look for the runway, for the photographer, for the image. I feel I do a different job. When I design clothes, I really take care and always have in mind the man who is going to wear them. NV: The models at your shows look like they could walk off the runway and on to the street, aside from the odd crocodile jacket. These are quiet, quite normal clothes, yet when you get close they are far from usual. Is this apsect of revelation also deliberate? VN: I like the second time you see a garment and all of its details. I still have friends, you know, who call me and say I just discovered that you put this pocket inside a piece. Since the very beginning, I’ve designed a collection on the runway which is exactly the same as what is in store. This is based on an idea of honesty and reality, which is very important in this time. NV: How is your personal taste different from the way you express yourself in your work? NV: When I think of you, I think of the perfect suit. What is it about them which makes them so covetable? VN: It’s an object of obsession, as it’s an archetype of men’s clothing. I like to play with that, I like the idea of working to make them very comfortable, light and smart, but also at the same time, look very tailored. Now men wear a lot of sportswear, they understand comfort and how to wear comfort. I try to bring all these values into the suit today. As you mentioned yourself, a lot of people stop me to ask about the cloth of my blue/black wool seersucker suit. NV: Why is research and development into yarn and fabric so important to you and Hermès? NV: The shape and overall look of a piece of clothing is, to a great extent, a function of the fabric, do you start with the fabric or start with the garment? VN: I start choosing and designing the fabrics, and after I start designing the shape. Hermès items are built to last. Designing clothes for now means they are modern but long lasting, in very good fabric and construction. I don’t like excess in the shape, I don’t do excessively trendy pieces, my dream is to design timeless clothes, in a good way, which does not mean too classic or dull. NV: What do you hope that visitors will take away from visiting ‘Step into the Frame’?